Marge joins our Simpsons Hama Bead family. Marge is your stereotypical sitcom mother, playing the “long-suffering wife” to Homer and her children. 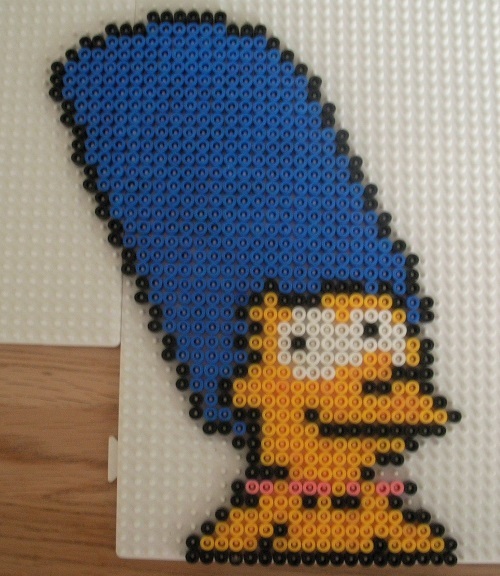 What you require to make a Marge Simpson out of Hama Beads. Colours required – Here is a list of the colours you will require to make this Marge and the part number of the individual coloured packs. The Simpson’s original bad boy – Bart in Hama. At 10 years old, it’s mad to think of the trouble and schemes that Bart Simpson finds himself in. Together with his dad (Homer) they have been brightening up our lives in probably the greatest ever cartoon series. 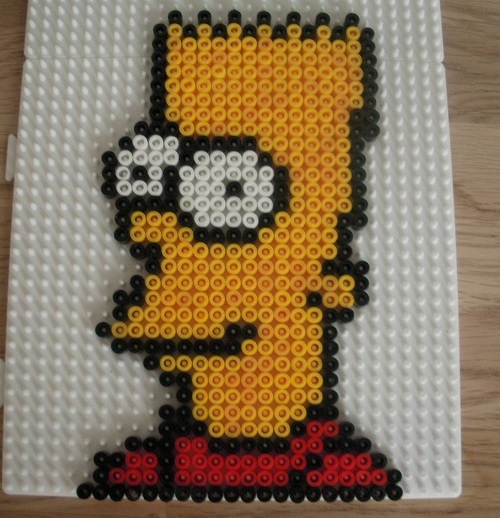 What you require to make a Bart Simpson out of Hama Beads. Colours required – Here is a list of the colours you will require to make this Bart and the part number of the individual coloured packs. The Geeky Simpson in Hama! Lisa, the 8 year old brain box daughter of Homer and Marge Simpson and doesn’t she look great here in Hama. We are slowly but surely working through the Simpson family, so you could have the full set soon from the greatest ever cartoon. 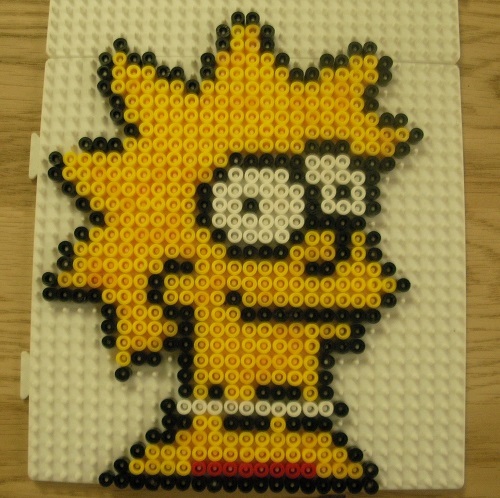 What you require to make a Lisa Simpson out of Hama Beads. Colours required – Here is a list of the colours you will require to make this Lisa and the part number of the individual coloured packs. Hooray, we have finally started to complete the set of Simpson Family members in Hama Beads. Here is Maggie the lovable yet unpredictable baby of Homer Simpson. Doesn’t she look cute? 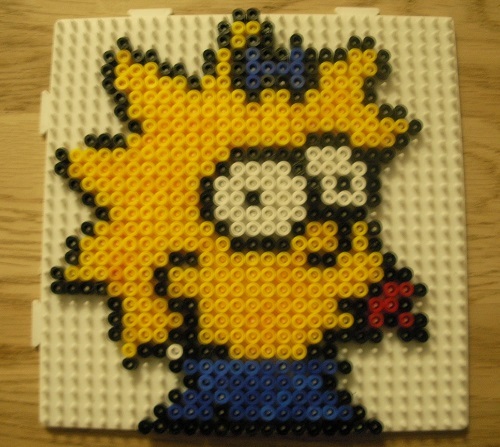 What you require to make a Maggie Simpson out of Hama Beads. Colours required – Here is a list of the colours you will require to make this Maggie and the part number of the individual coloured packs. Homer at his best in Hama – Doh! Arguably the most loved cartoon and perhaps character of all time. Let us help you make the perfect Homer out of Hama Beads. What you require to make a Homer Simpson out of Hama Beads. Colours required – Here is a list of the colours you will require to make this Homer and the part number of the individual coloured packs.